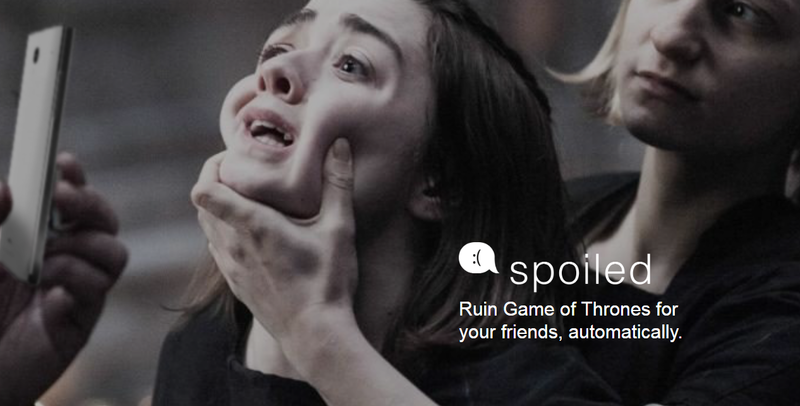 Whether it’s for revenge or a prank (or because you’re THAT friend), you can sign up a friend’s cell number through Spoiled.io to automatically receive upcoming spoilers during Game of Thrones’ final season. If your friend doesn’t watch the episodes the moment they air, they’ll be receiving spoilers the moment the episode finishes. We advise you don’t do this to people you wish to remain friends with. The cost to spoil a GoT episode is $0.99USD per episode (and possibly a friendship), or you can get a discounted rate of $4.99 and really frustrate your friends! “Do your friends love Game of Thrones, but watch it after it airs? Are you a terrible friend? Great!